Jashim Salam’s Documentation Has Been Published In Various National And International Newspapers Such As The Sunday Times Magazine, Ny Times, New Internationalist, The Guardian, Reader’s Digest, Cnn, National Geographic, Reuters, Ap And Many More. From being an English Major to a documentary photographer, Jashim Salam fought against all odds and became one of the most influential documentary photographers in Bangladesh. By winning awards such as the Emirates Photography award, the Ian Parry scholarship Fotovisura grant, the IPA Street Photography Award, the Asian Press Photo contest and the People and Planet award in Australia, he has definitely set the bar high for many. Living in Chittagong, Jashim teaches photography in workshops and seminars for aspiring young photographers. 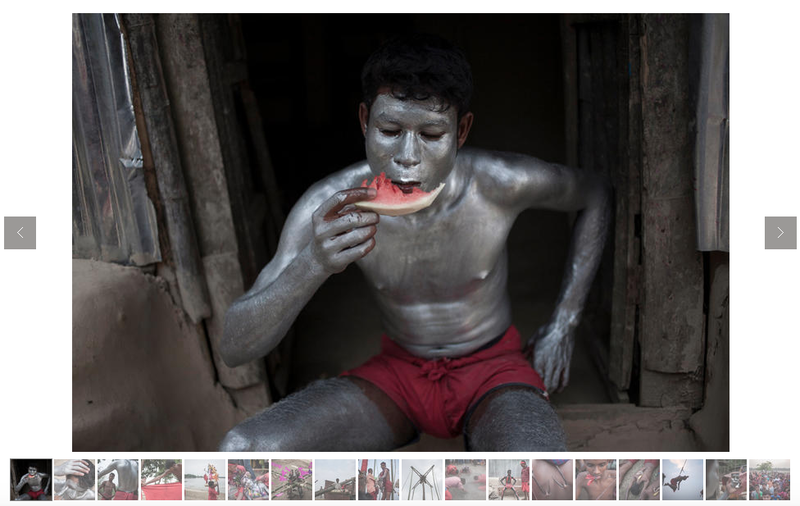 He is also a regular on the jury boards of numerous photography contests in Bangladesh. From a very early age Jashim has had a soft corner towards the arts. “I was always fascinated by the camera. I remember I used to volunteer when it came to taking pictures of my family, but I never knew that the camera would soon become my best friend,” says Jashim. After completing his MA in English, he got into the Photography Art Institute in Chittagong for a basic course in photography and soon was admitted into the Pathshala South Asian Media Academy for a diploma. Jashim Salam prefers to work in documentary. “I think this genre is the best way to keep in touch with people and capturing their moments,” says the photographer. His documentation has been published in various national and international newspapers such as The Sunday Times Magazine, NY Times, New Internationalist, The Guardian, Reader’s Digest, CNN, National Geographic, Reuters, AP and many more. His work is inspired by many prominent photographers including Nasir Ali Mamun, Rashid Talukder, James Nachtwey, Raghu Rai, Joseph Kudelka and others. Right now he is working on a personal called ‘Water World’ which addresses the affects of climate change, tidal floods in urban settings, especially in Chittagong.